Whether you are an original equipment manufacturer (OEM), a recreational vehicle dealer or an auto shop looking for replacement glass product for a motorized or towable RV, we have the wholesale glass product you need and we’ll get it to you quickly and safely. Innovation in RV design is our passion and we strive to offer more than just the latest trends to set you apart from the competition. 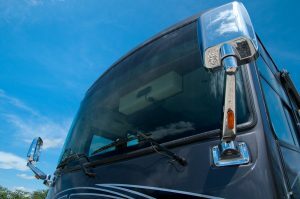 Coach Glass introduced the one-piece windshield to the RV industry and we enjoy working side by side with our OEM customers to ensure we stay on the cutting edge of design and function. One of the main challenges facing our OEM customers is logistics. We have worked diligently with our freight carriers and with packaging specialists to get product to our customers quickly and with the lowest damage rate in the industry. Coach Glass’ logistics team takes the worry out of filing freight claims and movement coordination for our manufacturing customers. Aftermarket RV glass can be confusing and there isn’t a guide to help determine which front, back, side or windshield glass should be installed in a particular motorhome or towable vehicle. Coach Glass is highly experienced in aftermarket products. We will ask you all the right questions to make sure you are ordering exactly what you need. Have you ever tried to source glass for a classic vehicle? It can be a chore, but you’re in luck. Coach Glass carries antique, vintage and discontinued glass products and odds are the glass you need is waiting for you in one of our warehouses. Our selection of recreational vehicle side glass is available in both laminated and insulated glass units. Coach Glass’ laminated side windows feature a lifetime warranty against fogging (something you won’t find anywhere else in the industry). Request a quote and we’ll get you covered—on all sides. Coach Glass is a resource for your organization, not just for quality wholesale product, but for excellent customer service and product development expertise. Contact us to connect with our team of engineers and glass specialists. We are ready to help you bring your vision to reality. 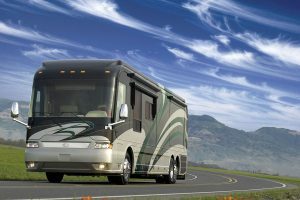 If you need an RV windshield, flat or curved, request a quote or reach out to us about our specialty product offerings. We either have your product in stock to ship, or we’ll work with you to create the glass that you need. If you are an RV owner seeking a replacement windshield for a personal recreational vehicle, please contact RV Glass Solutions by Coach Glass.